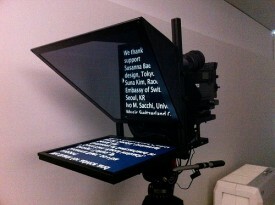 Our experienced in-house prompter technicians make it easy to include this necessary technology in your video shooting plan. Through-the-lens or off-camera prompting options are available to match the needs and look of your video design. Our equipment is professional grade, with large and legible screens.